kl_havasu - Lake Havasu, AZ super soft and cool design! "Bought this a few months ago and it's been a great shirt. Actually wearing it right now and was on here shopping again, so yeah it's pretty sick. Fit is as you'd expect for this type of cut. Maybe a little on the short side, but it's cool because it's not your typical tight fitting t-shirt. I'm 5' nothing, 120 lb, and got a medium." Crews - Louisiana Just the best. "TroyLee knows they kill it. They should, they have been at MX long enough to be slaying everything they touch and rocking AA PRO Black belt status in the MotoCross game! Hot fire these gloves are and they look awesome. Keep it ripping TroyLeeDesigns!" MotoSport carries the most comprehensive catalog of products for your cruiser: daily commuters, new owners and riders who live for weekend excursions along back roads will find here the best cruiser products and the best prices. Are you looking for hard-to-find cruiser parts, aftermarket or OEM? You're at the right place. We have so many products that you can customize and upgrade nearly every facet of your cruiser. You can even shop by make, model and year for specific parts and gear. We value your trust and we will do everything to get you the cruiser parts and accessories you need at affordable prices. Whether you're looking for parts for the latest cruiser makes and models or for the classic hits, you will find them on MotoSport.com. OEM parts arrive factory directs and are checked by our gearhead team to make sure you'll get the highest quality. Looking for a specific cruiser model? No problem, select your bike and we will automatically filter our catalog to show you items that fit your bike. On MotoSport.com you will find a great selection of motorcycle hard parts, clothing and accessories at the lowest prices. From shields to jackets, tools to luggage, and communication devices to slip-ons - there are amazing markdowns on all our cruiser products that will meet your needs. We're proud of our free 3-day express shipping offer, expert customer service, and 90-day return policy that make us the easiest place to get your cruiser goods from. Cruiser Parts - Do you need sissy bars, controls, windshields or lighting? We have them, and more. Cruiser Exhaust - Speed, style, sound or all of them! OEM Parts - Honda, Kawasaki, KTM, Suzuki, Yamaha. All the best brands for your cruiser! Cruiser Tires - The right tires at the right price. MotoSport carries tire combos, front tires, rear tires, inner tubes and tire tools, check them out. Luggage and Racks - We've got gear bags, saddle bags, racks and hydration packs among other long haul items. Riding Accessories - Motorcycle cover, electronic devices and tools to keep your bike in the best condition. Cruiser Riding Gear - Rain gear, heated gear, gloves... everything you need for these long rides. Helmets and Accessories - Helmets, replacement parts, accessories and helmet cameras, all at affordable prices! 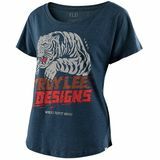 Casual Apparel - Men, women and children gear. 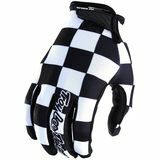 Gifts - MotoSport.com offers an incredible selection of gift items for avid riders. Do you need cruiser parts and accessories? MotoSport.com is here to assist. Order any of our products online and we'll ship right to your door. Want help? Call our toll free line 866-677-7338 or chat with an expert. Remember, we offer fast, free shipping on orders Over $79.